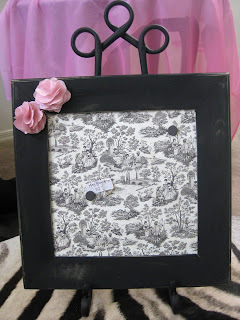 pepperblossom decor: Fun new product available! 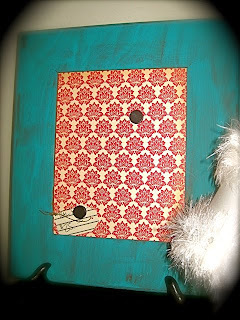 These vintage styled peices are shabby in all the right places and whats great about it is if you ever get sick of the middle pattern it is a 12X12piece of scrapbook paper so it is inter-changable!! We all know styles come and go so why not invest in a product that you can keep updating to your favorite style! Damask today, Birdcages tomorrow... what are you waiting for! 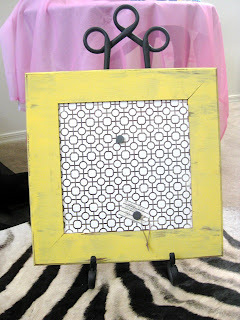 Yes... you can choose any pattern you want in the middle or any color on the frame! if you aren't a fan of the one I picked or want to change it for holidays!! So fun right! 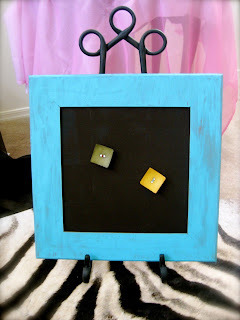 As easy as changing the picture in a frame!! 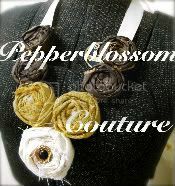 Visit our Etsy account to see about ordering yours today or visit our open house and see more options!! The options are endless.